In light of developments in Greece, Germany's Die Linke needs to consider how it relates to the European Union. The following statement was published last week by Nicole Gohlke and Janine Wissler, two radical MPs in Germany’s Die Linke (The Left Party) associated with one of its far-left currents, Marx21. In it they criticize what they perceive as the party’s failure to entertain political possibilities outside of the eurozone, limiting itself to strategies of creating a “social Europe” within the confines of the European Union (EU). Instead, they argue for a widening of the strategic debate in Die Linke in light of Syriza’s defeat at the hands of the troika. Until now the debate within Die Linke around its stance toward the EU has largely been restricted by the party’s understandable desire to stand with and support the Syriza government, as well as a longstanding belief on large parts of the German left that any opposition to the EU runs the risk of backsliding into nationalist populism and is thus to be avoided. This refusal to entertain visions of a radical social transformation outside the bounds of the EU has necessarily limited Die Linke (and other important parts of the European left) to vague calls for a reformed, mildly social-democratic EU. Syriza’s experience with the troika has begun to prompt a rethinking of this stance. Though Gohlke and Wissler are by no means the only figures in the party calling for such a rethinking, this contribution represents one of the most prominent of the last weeks. The events of the past weeks in Athens and Brussels are prompting sharp strategic debates all across the continent, and Germany is no exception. Nicole Gohlke is an MP for Die Linke in the German federal parliament and a member of the state executive of the party in Bavaria. Janine Wissler is chairperson of the Die Linke parliamentary group in the Hessian state parliament. 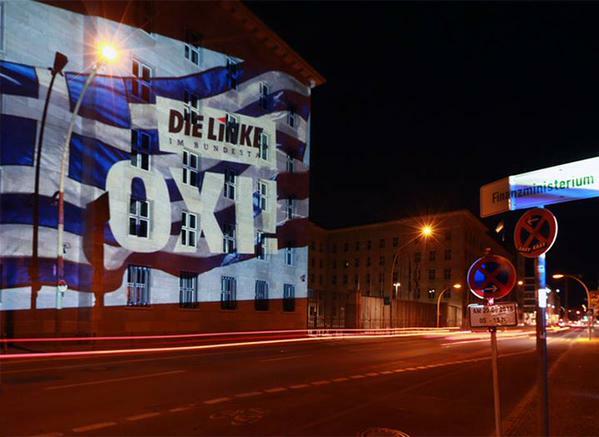 In light of developments in Greece, Germany’s Die Linke needs to consider how it relates to the European Union.